At Gulf Harbour Country Club we encourage junior golfers with a program to develop skills at all levels. Golf teaches respect, discipline, self-challenge.... and patience! ... at a healthy level. The championship course and driving range at Gulf Harbour Country Club offers the perfect training ground to improve your game and prepare you for playing friendly and competitive golf. Junior tee times are available 7 days a week as well as the use of the putting greens, pitching and short game areas. Learn and master your game at Gulf Harbour Country Club and see why some of New Zealand's best professionals are members here. Jenna has a passion for getting people into golf by making the game easier, fun and accessible. With a mission to get younger people introduced to the game earlier as well as getting more women into the game. Junior players will benefit from Gulf Harbour's world-class practice facilities, SNAG Gear and our indoor teaching room with flight scope. This is an opportunity to inspire junior players as they learn the game of golf in a fun and safe environment. 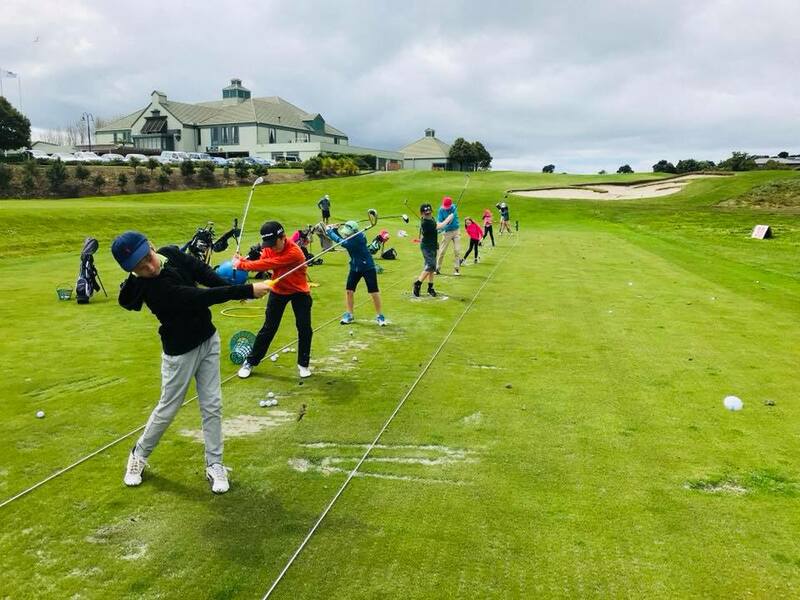 The Red Hat Group is the starting point for juniors who are just starting out in the game and who seek basic skills and an understanding of golf. The focus is on fun and safety, as well as the fundamentals of putting, pitching, chipping and full shots. On the first session of every month there will be a mini golf tournament with a 9 hole SNAG golf course set up on the range where your kids can show us what they have got and you will see how far they have come. After level 1 is completed juniors will move to the Yellow Hat Group to learn the grip, stance and posture fundamentals used for all shots with drills to help play golf, course etiquette and rules of golf. The aim is to get players ready to play the course. Level 3 is designed for those juniors wanting to improve and hone their game. Putting, chipping, pitching and full shots broken down and analysed. Continued game improvement and course skills are a big focus of this level 3 course where juniors will be ready to take on the course.